Owning a scooter in Esher gives you the freedom to move around town with ease and without any of the stress that comes with using public transport or hailing a cab. Scooters won't put a strain on your pocket and are a convenient way to make short trips around town. Here are more reasons why you should own a scooter in Esher. Hit the Road Earlier: Owning a scooter in Esher guarantees that you will be hitting the road earlier than most other road users. This is because you can legally ride a 50cc scooter at the age of 16. Faster in Traffic: Scooters are smaller than most vehicles, which mean they can conveniently snake through tiny gaps in traffic than cars. Price: Scooters are cheap to buy, but ours are the cheapest scooters on the market. Insurance: Direct Bikes also helps you compare the most attractive scooter insurance deals in Esher. 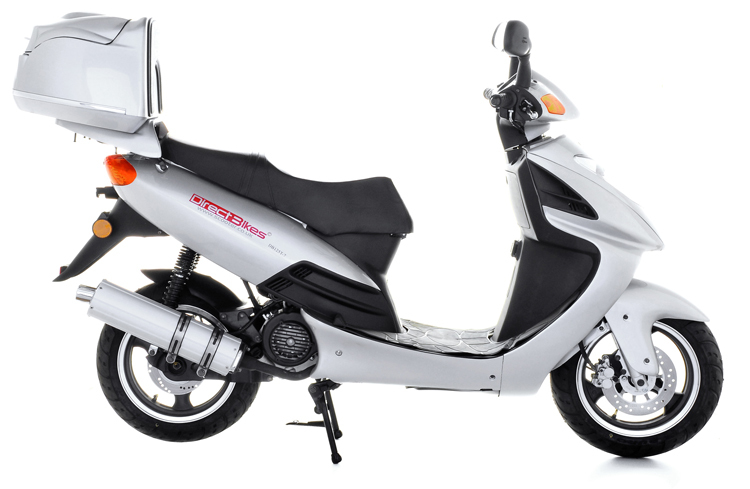 Design: Our range of 50cc and 125cc scooters come in various sizes, styles, and colours and are also customisable. We don’t have a dealership in Esher, but we can get your scooter to you faster than even other scooter dealers that have local distributors in Esher. All you have to do is input your delivery details during payment, and we will bring your scooter to you ASAP!